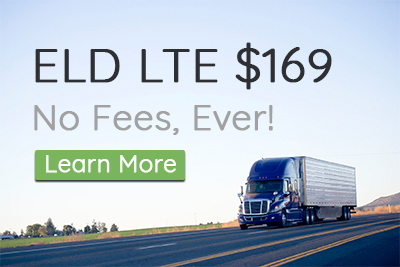 The ELD LTE is everything you need to be in compliance with the ELD Mandate. This is a one-time $169 fee. This includes the ELD hardwire and ELD APP. GPS and track offers a basic ELD mandate solution for $169 that providers a clear application for drivers for the complex FMCSA hours of service requirements. This is effective December 2017. This ELD service includes connecting to the engine and recording engine events and hour of service rules. Our ELD system is simple to use. There is very little interaction required other than signing on and off duty. The ELD unit has been built to emulate the same process done by paper. The main ELD page even looks like the current paper logs. Since the ELD solution doesn’t require a data plan, it will save drivers hundreds of dollars per year. Our ELD APP will send logs to the inspectors via email at roadside inspections. This is required by FMCSA. If you decide to install prior to December 2017, including a connection to the engine by the verification date, you can run AOBRD mode for up to 2 years. There are several advantages and disadvantages to this feature. AOBRD have been significant in the industry for many years. The functionality of AOBRD and ELD are very similar. There are differences too. ELD stands for Electronic Logging Device. This electronic hardware device connects to the engine. Our ELD solution fulfills regulations and improves operations. Are you compliant with the ELD mandate? Part of the new eld mandate, requires all qualified drivers to log records of duty status electronically. Drivers must be compliant by December of 2017. The ELD device replaces all paper logbooks used with hours of service (HOS) with electronic records. 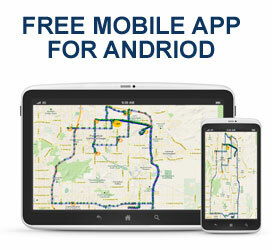 GPS and track has a simple and affordable ELD solution with additional fees, ever! So who needs to be ELD Compliant? The ELD solution is needed for drivers who maintain paper RODS for 8 days or more during a 30-day period. Those drivers must have an ELD device. We offer a simple solution for ELD. Our system is only $169 and there are no other fees, ever. This can be run as an AOBRD or ELD solution. This device can also be upgraded to our Pro platform. The ELD Pro has tons of additional features including GPS tracking and detailed reports.